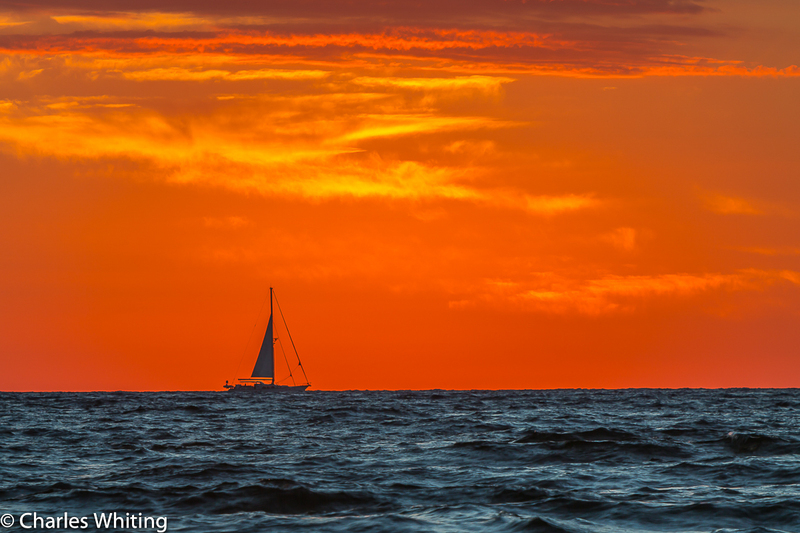 A sailboat is caught in silhouette by the rising sun. Deerfield Beach, Florida. Photo © copyright by Charles Whiting.